New York Painting Services is a painting contractor supplying a number of services, catering to commercial businesses and residential homes throughout New York and New Jersey. We are fully licensed and insured to offer our professional services at rates that are affordable. At New York Painting Services we perform every service with superior execution, friendly customer service, high moral standards and exceptional work ethics. We have the best in the business applying their skills, training, and experience to deliver the finest quality of services. 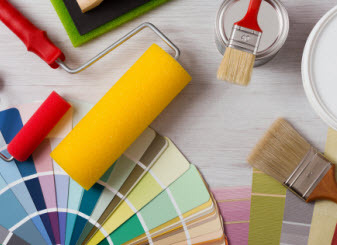 At New York Painting Services we only use exclusive materials, products, and equipment to ensure our valued customers receive nothing less than premium results. New York Painting Services offers our great services for warehouses found across New York and New Jersey. Having the experience in with commercial and industrial warehouses gives us the edge in providing the specialized projects while working with schedules to significantly minimize the everyday production and overall operation and allow complete safety for everyone working in the facility. Working with each of our clients individually to comply with your needs, as well as maintaining your budget and other required specifics for your project. We utilize high performance and industrial grade coatings to ensure durability. During our consultation and throughout the pace of your project, we will explain the procedures and updates on current status. New York Painting Services crew members are incredibly organized, punctual, and professional to get the project finished methodically and on time. Each day we cleanup equipment and grounds to avoid any disruptions and safety hazards that could potentially hinder your warehouse activity. 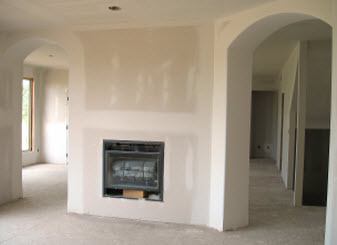 There is no one better than New York Painting Services to handle your projects in New York and New Jersey areas. New York Painting Services has an extensive menu of options ideal for industrial warehouses in New York and New Jersey. Some examples of our services include: Exterior and Interior Painting, Drywall Repair, Replacement, and Installation, Power Washing, Flood and Water Damage, and more. 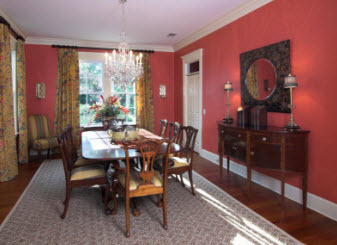 No matter if you require one or multiple services; New York Painting Services can easily accommodate your needs. New York Painting Services of New York exterior painting services are conducted strategically and efficiently. The exterior of your warehouse needs to be well maintained, not only for aesthetics, but for protection. Our high performance and industrial quality coated paints will keep the structure well protected from the extreme weather conditions and outdoor pollutants. Getting your warehouse a fresh coat periodically will contribute to the preservation of your building and add to the value of your building. New York Painting Services interior painting services extended to warehouses found across New York and New Jersey offers the same protection as the exterior paint. With a barrier of indoor paint, your warehouse’s interior structure is better preserved, esthetically pleasing, and better maintained with regular maintenance. New York Painting Services experts are thorough and precise, ensuring crisp edges, excellent coverage, and maximum results. New York Painting Services services, no matter what they are, are performed by experienced professionals and accomplished with the proficiency to leave impressionable results. Pressure washing, drywall service, flood and damage services, and any additional services designed for your New York and New Jersey warehouses are well executed, leaving you beyond satisfied with your New York Painting Services experience. Call us today to get started on your warehouse project.